On makexyz, you'll find 3D printers and makers near you to help you make something. This listing explains 3-Dp's services. 3-DP is a division of GDS (GraphicDESIGNServices) an award-winning design studio located in Scottsdale, Arizona. We specialize in product design, advertising design & graphics for print and the web. We are proud to now offer high-quality 3D Print & Scanning services too! At 3-DP we love to design, engineer and make cool things that work! 3-DP can take your file as is, or we can modify and/or fix it for you. If you have something in mind but have no idea where to start, we can help you design your prototype from a simple sketch or detailed description. We can take your real-world objects and scan them into 3D. Scanning creates a "mesh" file of your model that can be edited, modified and replicated over and over from a 3D printer. We are currently accepting files in the following formats. If you need help preparing your file for print, let us know. We can help! If your project is “Top Secret” that’s not a problem. We have experience with many new products under development, and will be happy to offer you a standard Non-disclosure, confidentiality agreement or sign one of your own if you require. 3-DP prints with the MakerBot® Replicator 2X. This amazing device can print in 2-colors simultaneously (known as dual extrusion) or can print a single color all-day long! We print with ABS plastic (like Legos). The material is lightweight, durable, comes in lots of cool colors and can easily be finished with fine grit sandpaper or other smoothing tools and processes. 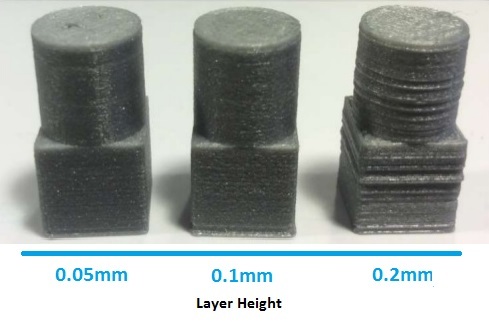 We typically print at medium (0.2mm) or fine (0.10mm) resolution depending on the print detail required. 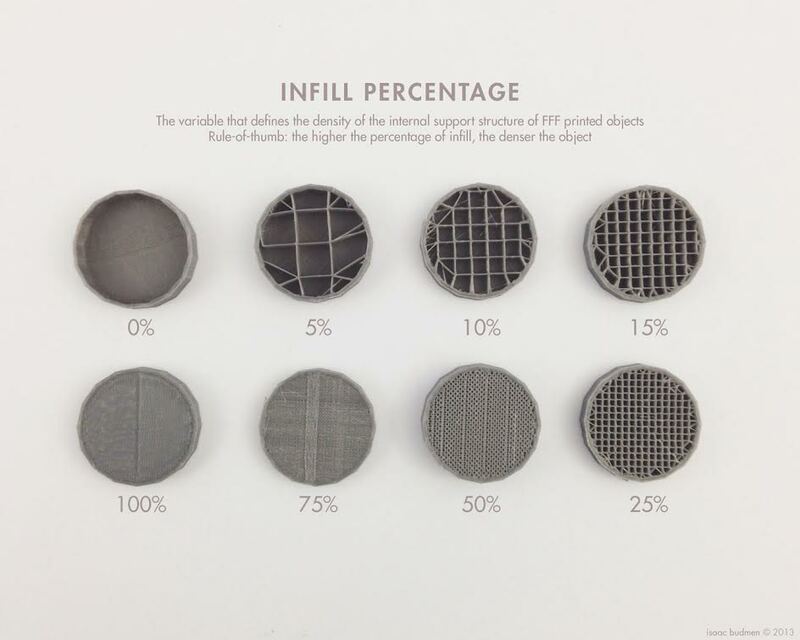 Printed objects are rarely made of solid material but instead printed with an infill pattern of approximately 10–30%. This is determined by the intended use of the part, whether decorative, functional or structural. If all this sounds too complicated, don’t worry! At 3-DP we can help design and configure your part so it prints reliably and has that WOW factor that makes 3D printing so cool. We encourage you to drop us an email to discuss your project. We will give you the info you need along with a price quote and time estimate that will be fair and accurate. No project is too small, or too large, for us to consider and discuss! Send us a quote request, let’s talk. I had Dan print out some prosthetic fingers for a friend who cut 3 fingers off. The prints turned out great and were completed the next day. When I went to go pick up my parts, one of them didn't quite fit right (because of my miscalculations) but Dan said “No problem”. He tweaked it a little and re-printed it right there, free of charge! He didn't have to do that at but it was real cool that he did. The quality of the print was top notch, but the real reason I will be a long time customer is because of Dan and his customer service. Five Stars across the board! Dan worked hard for me. My model was complicated. It had a lot of tiny arcs and was built in Sketchup, which has a lot of issues. Dan went way out of his way to do everything he could to get my model to print...and it did I can's say enough good things about him. His printer prints using hot ABS plastic. This sort of printing cannot hold tight tolerances. If you need tolerances better than .020"±, this printer will not deliver. However the cost, while not cheap, is still very reasonable for the quality it produces and much less than higher . I based my decision on reaching out to Dan at 3D-p Print and scan on his solid reviews, and he did not dissapoint. Dan is a class act that has a wealth of expereience in a lot of areas; areas that are vital in getting your product correct. He kept me up to date with the progress of my order, even going so far as to send me a pic of the product in the printing process. I will not hesitate to use Dan for my printing needs in the future. 3-Dp Print & Scan - Thank You! Fantastic service. Dan was extremely helpful in all aspects of the job. The "print' way exceeded my expectations. The process was quick and easy and I had my print within 24 hours of ordering. I would most certainly use Dan again. A BIG THANK YOU! Fast Service, great guy. made converting my files to the proper format quick and easy. Printed my original, and also printed an extra with what would work better. Thank you DAN! 3D-p is very responsive, quick delivery and sent us what we asked for! Appreciate it! Would use again. 3-Dp Print & Scan - It was my pleasure, let me know if we can help in the future! Friendly, flexible, knowledgeable and prompt. I would use him again and actually already have.